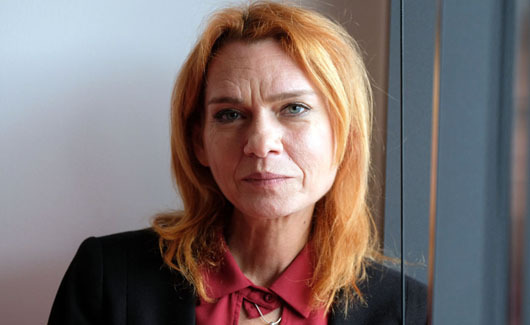 Asli Erdogan, currently residing in Frankfurt, Germany, faces terrorism charges in Turkey for her role as a literary adviser to a pro-Kurdish newspaper. She is being tried in absentia. The novelist is not related to President Recep Tayyip Erdogan, who she said has put Turkey on a path to fascism by granting himself sweeping new powers while purging his foes. Asli noted that Turkish lawmakers have also approved new legislation giving authorities greater powers in detaining suspects and imposing public order. “It’s an emergency state made permanent,” she said. The award-winning author, who spent six months in an Istanbul prison before being granted bail, faces a life sentence on charges of spreading “terror propaganda” for her work as a literary adviser to the newspaper Ozgur Gundem. The Ozgur Gundem was shut down by Turkish authorities who accused it of being a mouthpiece for the outlawed Kurdistan Workers Party (PKK). Asli has given up hope of being acquitted and returning to Turkey anytime soon, the AFP report said. The next hearings in her case are scheduled for October and March. “They are not bluffing,” she said, adding that several Turkish journalists have been sentenced to life terms.